Looking West towards Mt Blimit (right) from another lake Mavis camp in Summer. 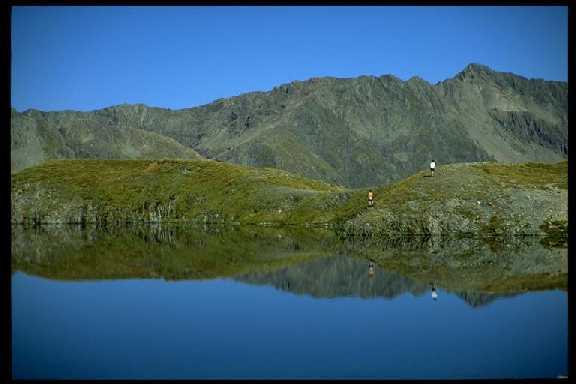 The Coast-to-Coast run crosses Goat Pass 500m below the lake. If you have the energy, Lake Mavis is a nicer and less crowded place to spend the night than Goat Pass hut. Plus you can go for a (cold) swim after the hot trudge up from the Pass. This view contrasts with that in Winter.